Yesterday, Cameroon guaranteed a place in the next edition of the African Cup of Nations with a clear 3-0 victory over Comoros. 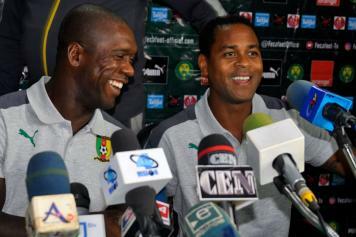 The national team led by Clarence Seedorf will thus feature at the continental competition in June and July this year. The former AC Milan midfielder shared all his happiness by posting his dancing celebration on Instagram after the match: "Pure joy! The boys did a great job and it was fair that I showed them my dance moves! Lions are back!," the Dutchman wrote as a caption.